Don’t Tread On Me Liberty Or Death Faux Fur Blanket - Plus Acrylic Material, Color-Saturated Vivid Artwork - Dimensions 70”x 90” | BUDK.com - Knives & Swords At The Lowest Prices! 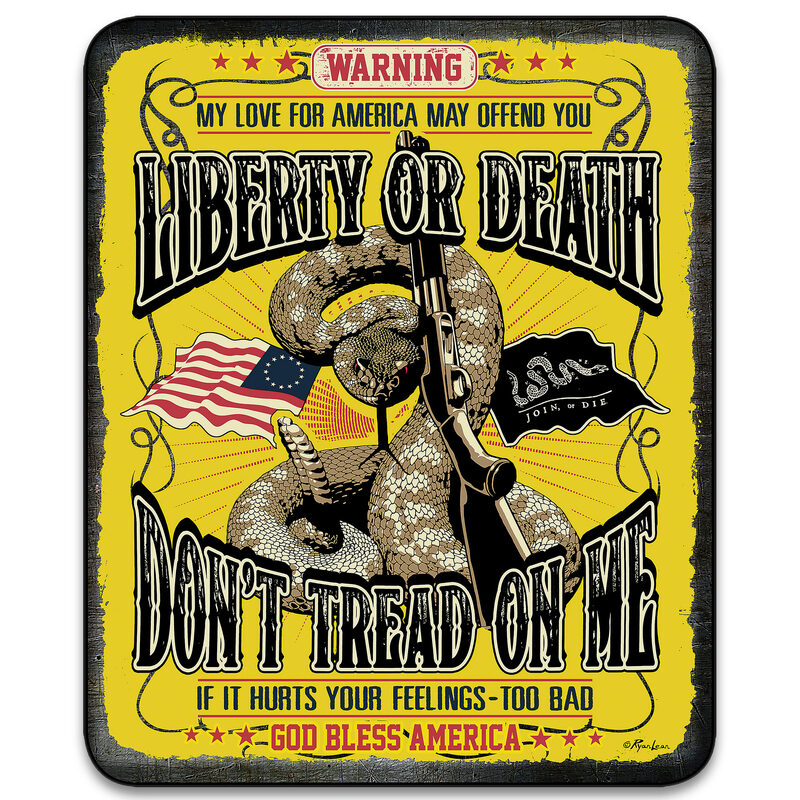 Let your American Pride show with the Don’t Tread On Me Liberty or Death Faux Fur Blanket. The plush, faux fur medium-weight blanket will keep you snug as a bug and let you display your proud heritage at the same time. The vivid and color-saturated Gadsden flag design is lush and eye-catching. It will look great on your couch, recliner or as a bedspread.